Odiyana Buddhist Centre is part of the New Kadampa Tradition- International Kadampa Buddhist Union (NKT-IKBU) and was founded by the renowned meditation teacher Geshe-Kelsang Gyatso. Venerable Geshe-la was invited to the west to teach in 1977 and has since established over 1000 centres and groups throughout the world. Each centre, including Odiyana Centre, followers the three Kadampa Buddhist study programmes that were designed by Geshe Kelsang. He is a humble Buddhist monk who has dedicated his whole life to helping people throughout the world to find true inner peace and happiness though meditation and Buddhism. Gen-la Kelsang Dekyong is the General Spiritual Director of NKT-IKBU and the Resident Teacher at Manjushri KMC, the mother centre of the NKT. She has been a student of Venerable Geshe Kelsang Gyatso Rinpoche for over thirty years, sincerely training under his guidance in all aspects of Kadam Dharma. She is recognised as a fully qualified Dharma Teacher of both Sutra and Tantra. Gen-la teaches at major Kadampa events around the world, and over the years has touched the hearts of thousands of people, whom she has inspired to integrate Buddha’s teachings into their modern daily lives. For Kadampa practitioners, her good heart, powerful teachings and sincere, inspiring example are unequalled. 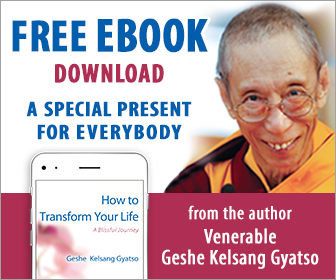 A disciple of Venerable Geshe Kelsang Gyatso, Gen Chökyong is a Buddhist monk who has been studying, practising and teaching meditation for many years. He was ordained in April 2000 and trained at Tara Buddhist Centre, near Derby, one of the foremost Buddhist colleges in Europe. When teaching, Gen Chökyong demonstrates a comprehensive wealth of knowledge, which he shares in a humorous and compassionate way.